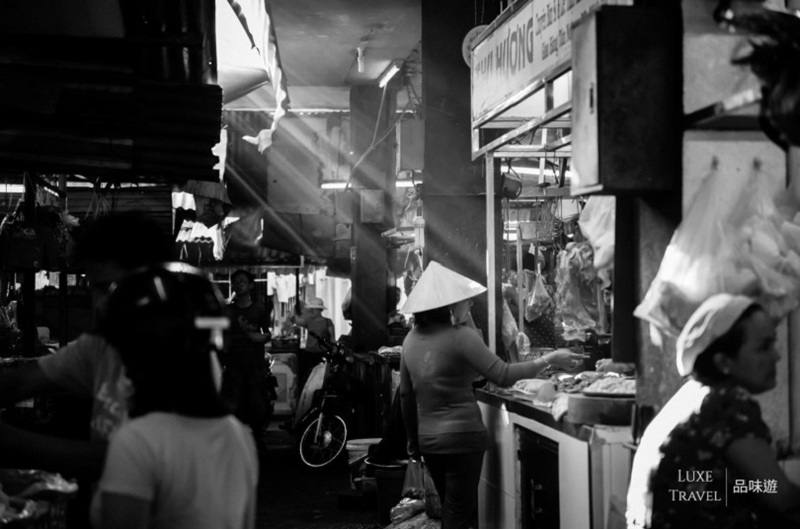 Speaking of the delicious Vietnamese food, you may first think of spring roll and rice noodle. But in addition to this, there are a lot of local specialties that you should try and taste! You will be transferred by pedicab, and your professional tour guide will bring you to try different local cuisine, such as the Banh Xeo and Nem Nuong. The itinerary also includes sailing alone the Cai River, visiting a typical village market and the XQ embroidery. Don’t miss the chance to have a glimpse at the exquisite Vietnamese embroidery! Tour falling into blackout period is not available. Should you wish to arrange a Private Day Tour, please contact us at online@luxetravel.com.hk. Tour falling into blackout period is not available. Tour is available on other date. Should you wish to arrange a Private Day Tour, please contact us at online@luxetravel.com.hk . The city journey starts with a sail along the Cai River. 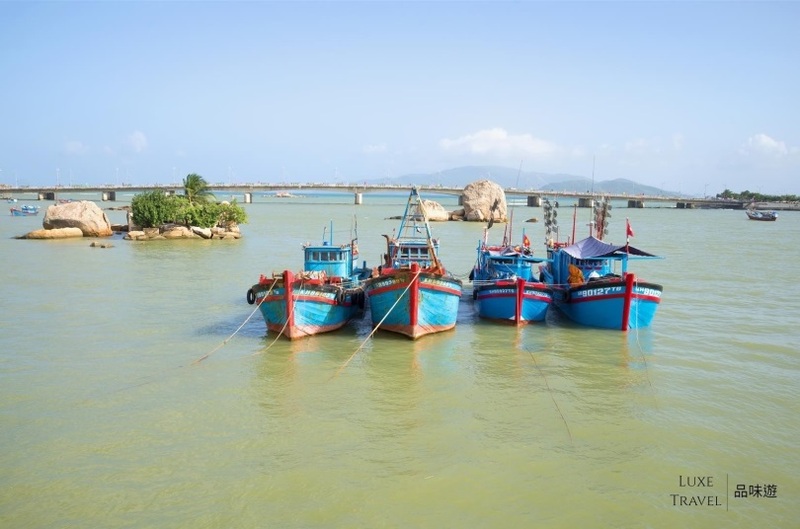 On the way, you will explore a traditional shipyard and a village specialized in handicraft of clay stove making, which is a common cookware in Vietnam. Visit an ancient house with 4 generations living together and discover the traditional family life in Vietnam. Embroidery and the needle have been the soulmates of Vietnamese women. The images of graceful women working on tambours are not so commonly seen in modern times. Enjoy a fruit party at an orchid and take a short break by walking along a peaceful paddy field and a visit to typical village market. You will also have an opportunity to have fun with children at a local kindergarten. Then, you will visit the famous XQ embroidery. In the journey, you will enjoy the Nha Trang special cuisine by pedicab, which is a typical transport in Vietnam. The first stop will be Banh Xeo, the crispy fried pancake. Do you know why it looks yellow even though it consists of no eggs in the recipe? Let’s check it out in the journey! You could also try the Nem Nuong, which is a traditional food in Nha Trang with marinated minced pork grilled and rolled with rice paper, fresh vegetables & cucumber. You will also enjoy the Bun Ca Sua, which is rice vermicelli soup with fish paste and jellyfish in Vietnamese. Luxe Travel will confirm the tour within 4 working days (excluding the public holidays of Hong Kong and the destination). Confirmation will be sent to you via email. Or you may choose to wait until 7 working days prior to departure in case tour cannot be made available within 4 working days. If you would like to change the pick-up time, please apply minimum 14 days prior to your departure. An administrative fee of HKD320/USD40 will be charged for each change. Successful change of the pick-up time is not guaranteed. If the change cannot be realized, Luxe Travel will keep the original pick-up time for you and the administrative fee will not be refunded. If you would like to change the departure date, please apply minimum 30 days prior to your departure date. An administrative fee of HKD320/USD40 will be charged for each change. The new date must be within 30 days of the original date. Successful change of the departure date is not guaranteed. If the change cannot be realized, Luxe Travel will keep the original date for you and the administrative fee will not be refunded. If you would like to cancel the tour booking, you may apply for refund minimum 30 days prior to your departure date. Luxe Travel will deduct HKD320/USD40 for each guest as administrative cost and the remaining amount will be refunded to your credit card. If your tour is cancelled due to emergency of destination (i.e. bad weather including typhoons, earthquake, volcanic eruptions and strikes), Luxe Travel will keep the credit for you for one year which may be used for your future booking (online and offline booking is acceptable.) Please apply within 30 days of departure.